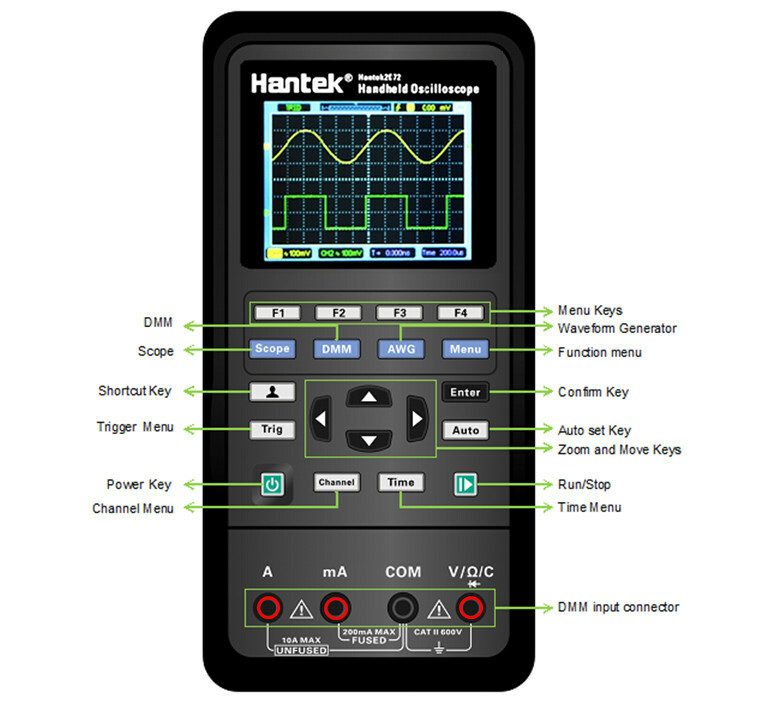 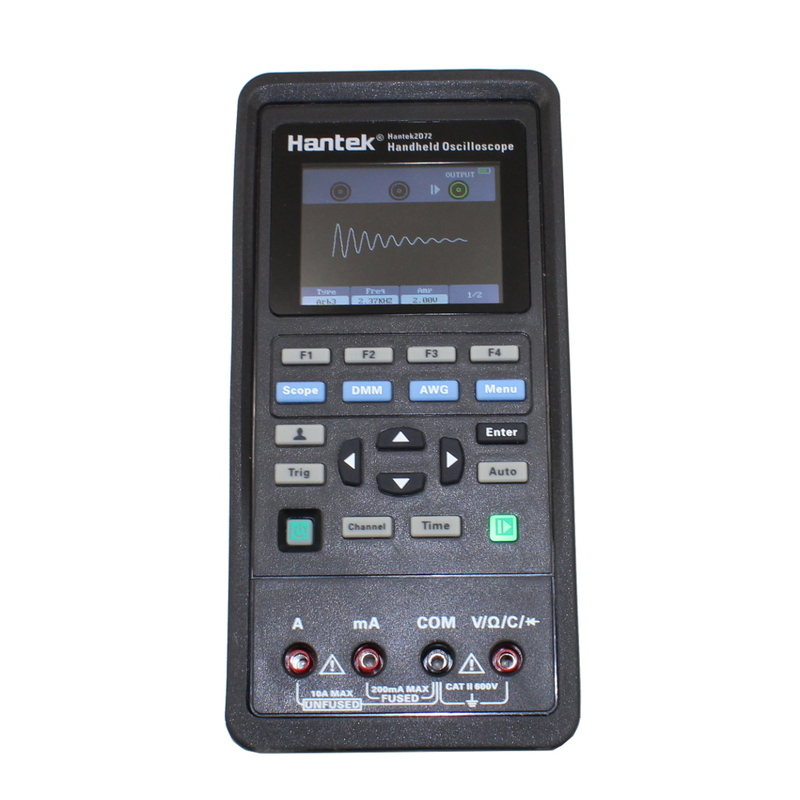 The HANTEK2D72 is an all-new 70 MHz handheld oscilloscope from Hantek featuring a compact and lightweight design with a new generation of 3-in-1 multifunction tester that offers an oscilloscope, signal source and multimeter. 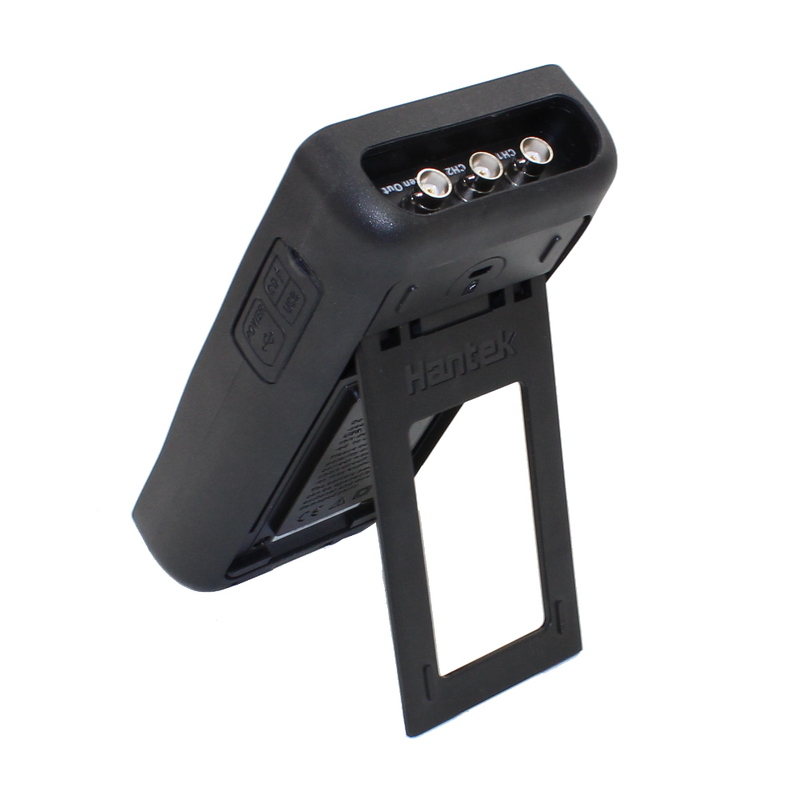 It has a small form factor that is easy to hold in one hand and it has a stand that was designed to support multi-angle viewing adjustment. 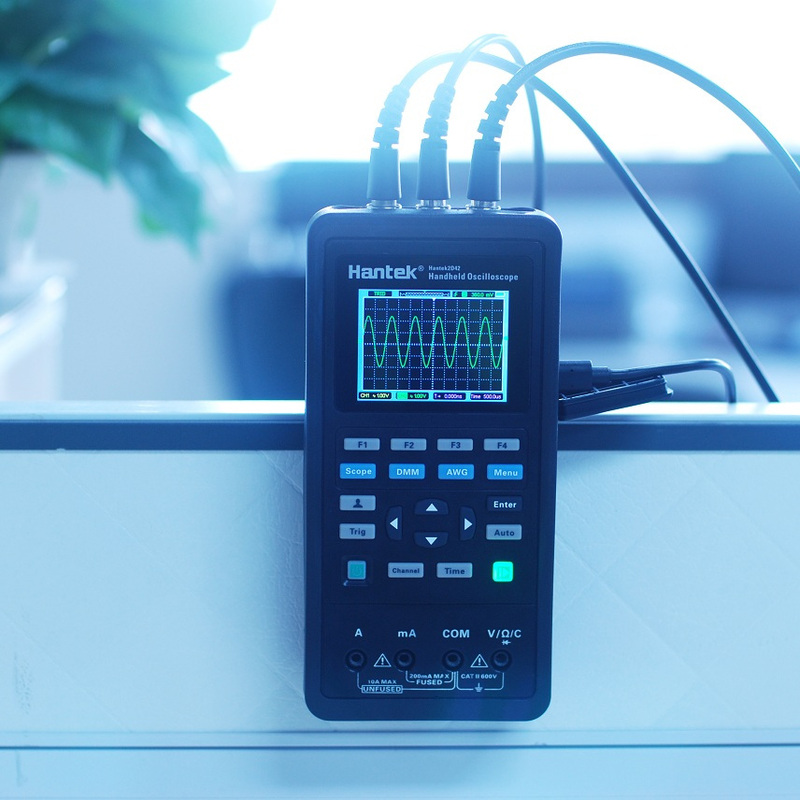 Ultra-low-power design with a Type C charging interface affords a full day or standbytwo months 2 hours battery charge allow working one full day of us or a standby time of two months. 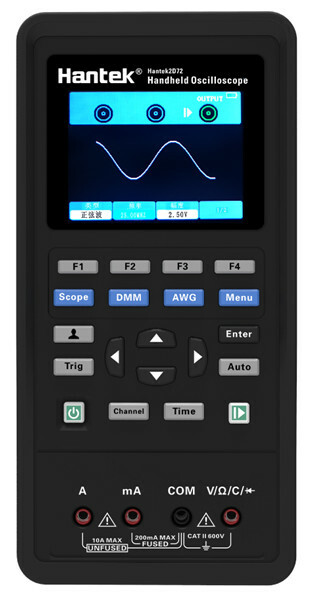 It also has a High-definition color LCD screen with a nice clear display with a simple easy to operate Minimalist keyboard design. 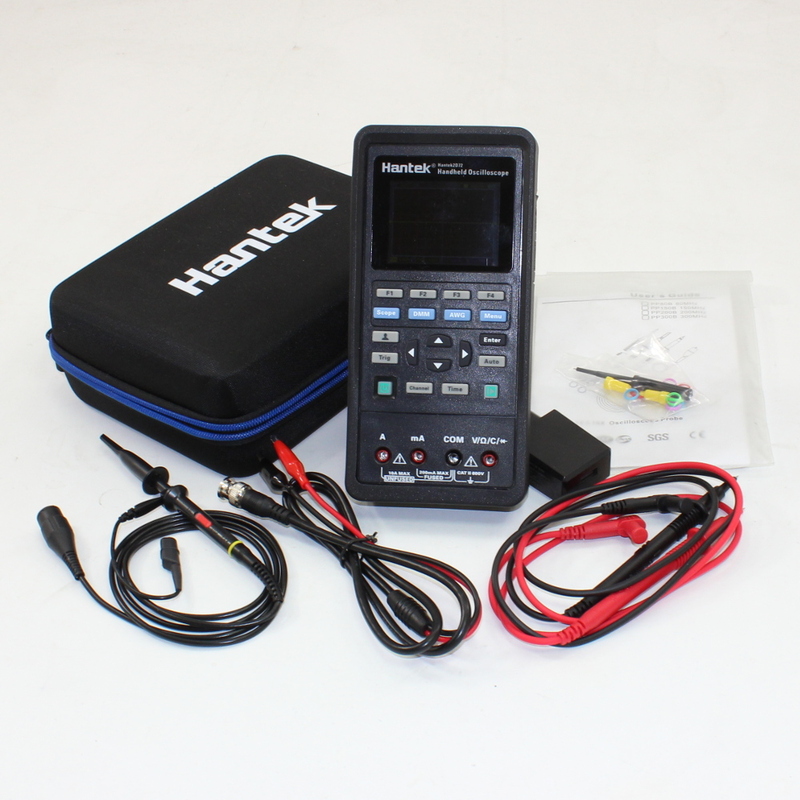 Great Functions with a small size! 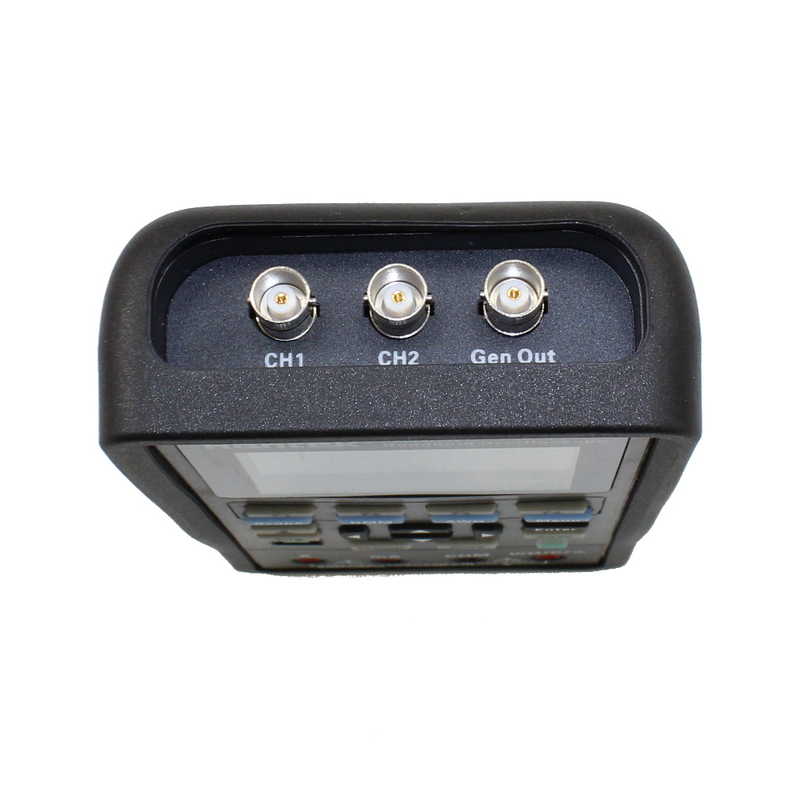 Powered by two 18650 lithium batteries for a full day of run time or 8+ weeks stand by. 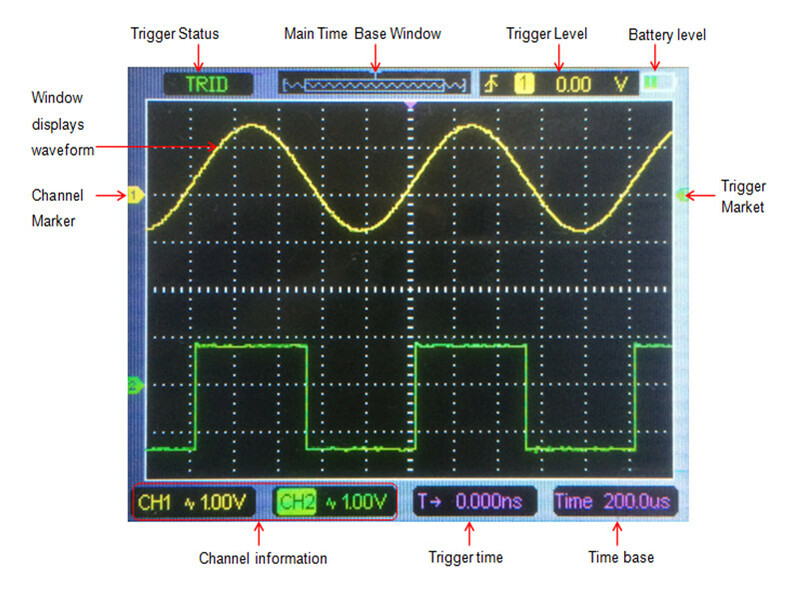 Easy to use Minimalist keyboard design to simplify operation. 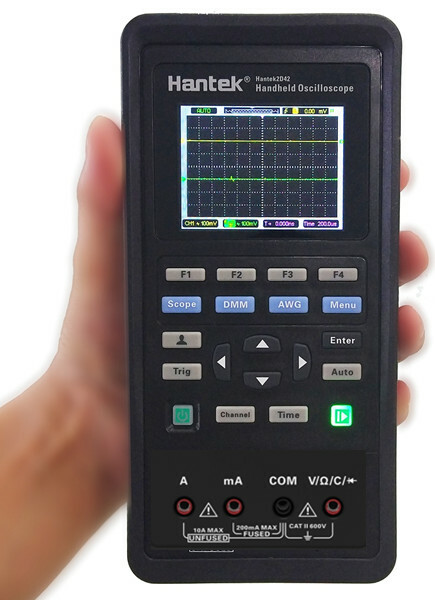 High sensitivity and accuracy, clear display, strong overload ability, and ultra portable. 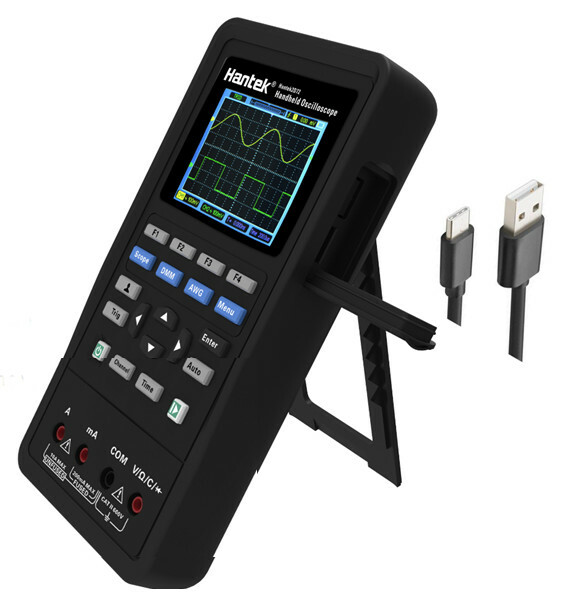 Can be recharged by either high-current 5V/2A or via standard computer USB interface. 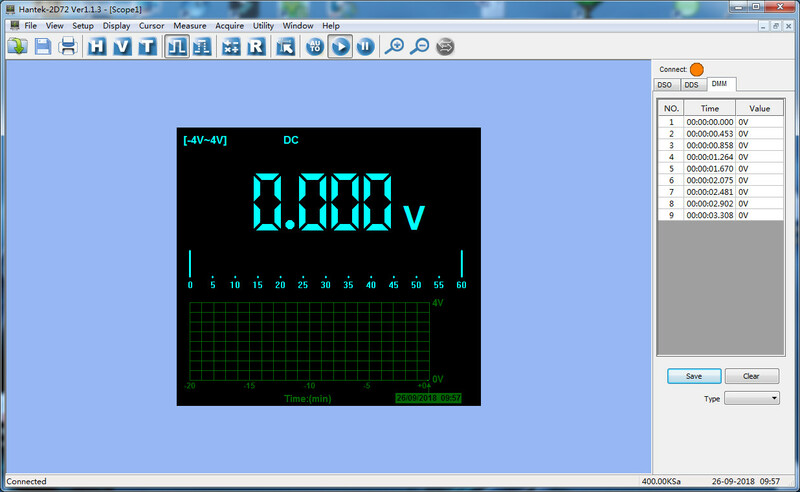 Unit can be charged while in use. 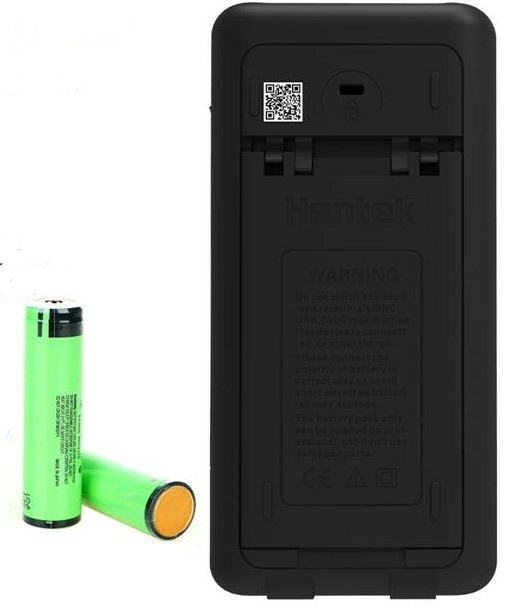 18650 replaceable lithium battery power system. 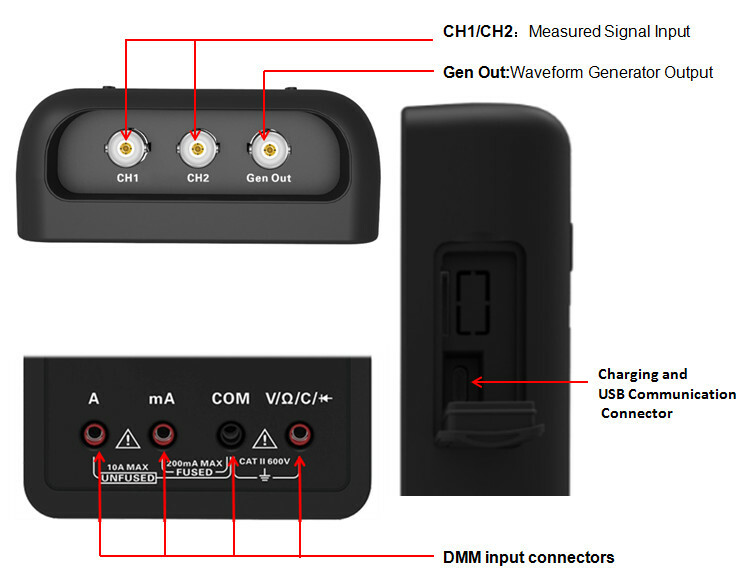 Type C power + data transfer interface, can share the charger and data cable with your mobile phone. 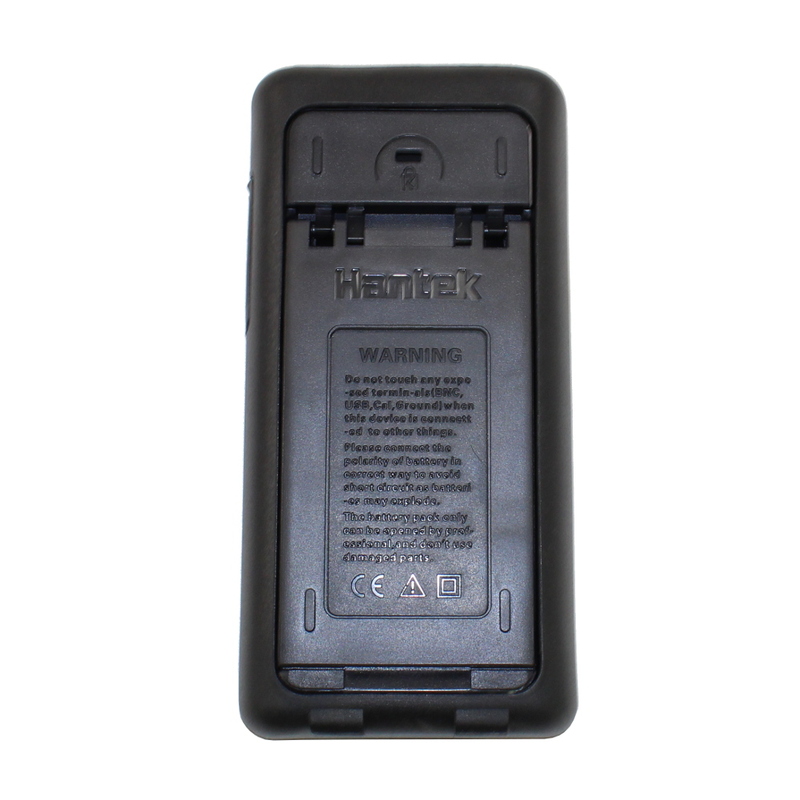 Each 2 hour battery charge allows a full day of use or two months of standby. 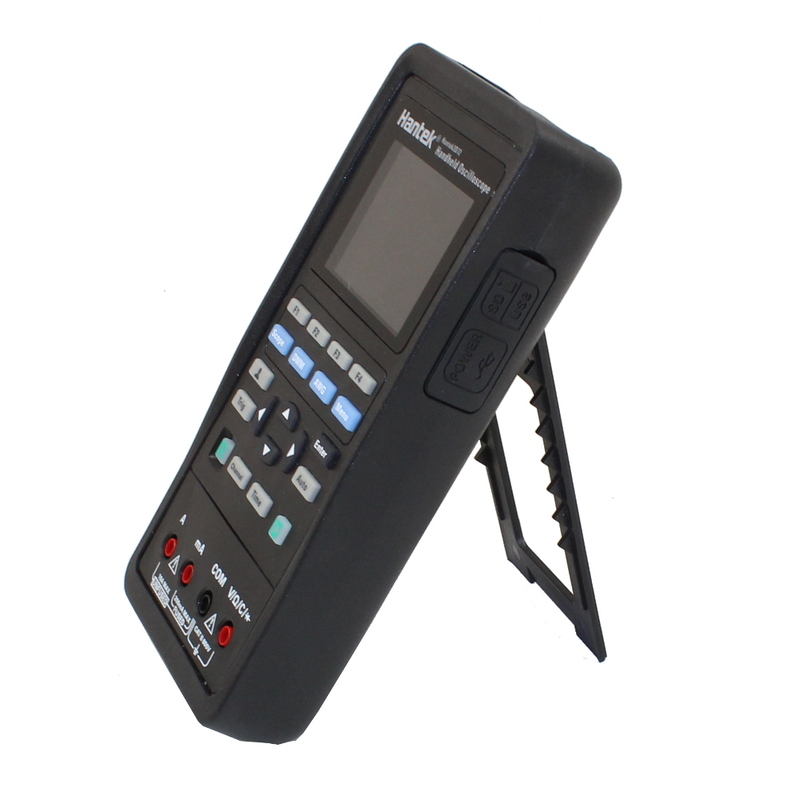 Multi position support stand allows for convenient viewing angle. 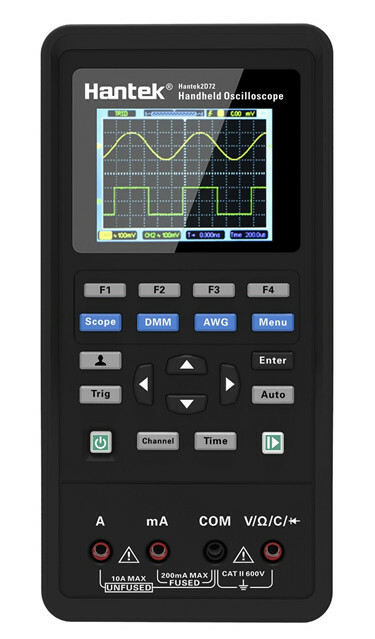 Powerful oscilloscope functions: 20 kinds of automatic measurement, curcor measurement, waveform printing and saving functions, REF and Math functions, Pass / Fail functions. 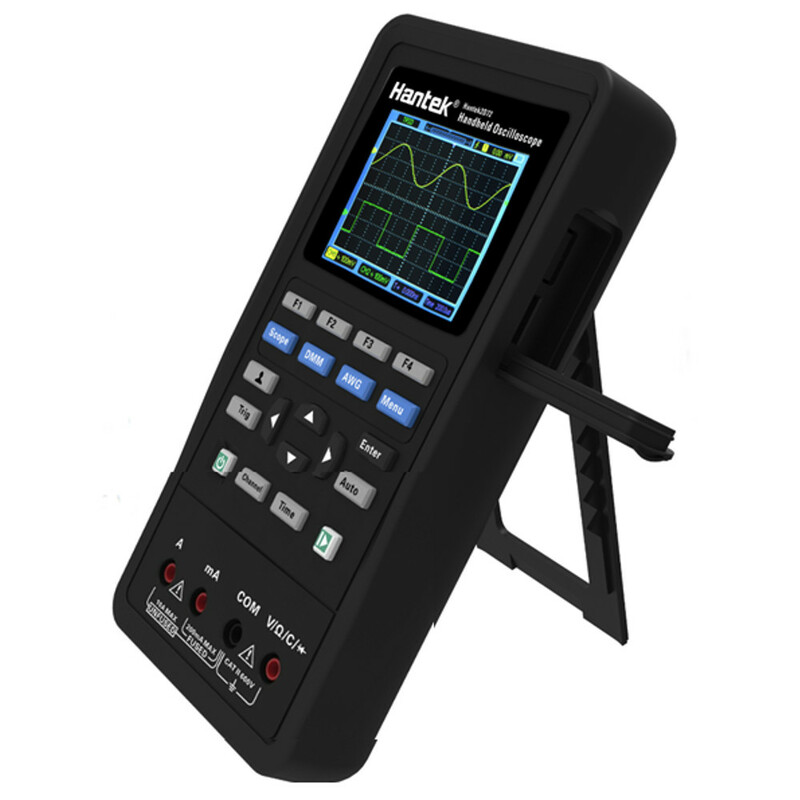 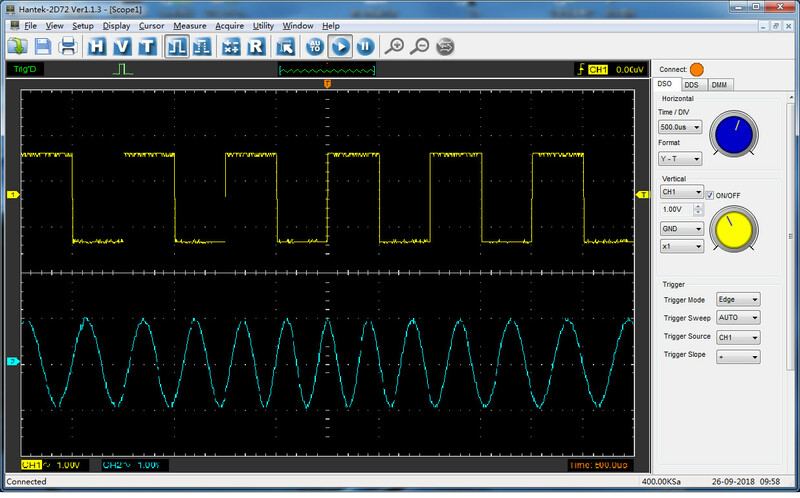 Its multimeter with recorder function, which support the measurement resultsto nerate the curves and analyze them. Overload protection: 400mV: 250V, other: 600Vrms. 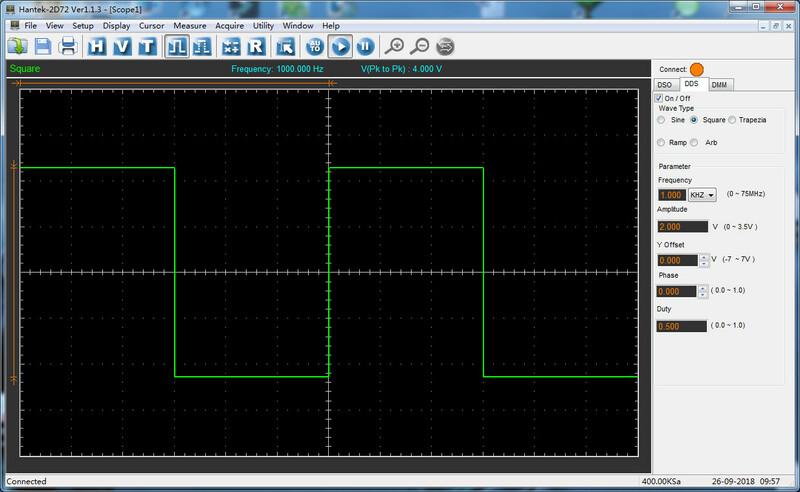 self restoring fuse: 200mA/250V, 4A and 10A range no fuse.